A few Christmases ago, when my loved ones asked what I “really” wanted for Christmas, I gave them a list of book titles. All were by Indie authors, or published by Indie/small presses. Some had multiple reviews, some only one or two. 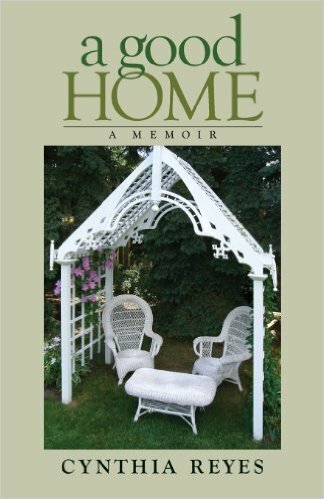 Where suitable, I also read excerpts to the Memoir-writing group that I coach. It’s important to celebrate strong, but lesser-known writers. Oh, I read the big bestsellers by the famous authors. But I’m not part of that club and they won’t miss my purchase. I have limited funds; I choose to support authors whose books are published by tiny presses, or by themselves. The way I see it, the bigtime authors will still get my support, via the public library. Local libraries are among my favourite places on earth and librarians are stars. I borrow the famous books there. But Indie authors and presses need my money. I don’t buy any-and-all Indie books, of course. I pass over badly-written books, ones with too many typos, or whose subject or plot doesn’t appeal to my taste. But I buy books by bloggers whose writing I admire, books by members of my authors’ group, or ones whose reviews (often by other bloggers or word-of-mouth) make them worth the money. As I write, I’ve just finished reading two books, one borrowed from the library (Julian Barnes’ prize-winning The Sense of an Ending) and Laurie Graves’ Indie-published Library Lost, which I bought. Both compelled my attention; both were superbly written. Library Lost is the second in the Maya and the Book of Everything series. Brilliantly plotted with well-drawn characters, both books have delightful twists and turns. I love a well-written book, and I know how difficult it is to produce one. When a good book is also produced by an independent author or small press, I appreciate it even more. Next postCelebrating Courage, Creativity and Grit. This looks like a lovely selection of books. I loved Dog Bone Soup. Thanks, Robbie. It deserves all the great reviews it’s received. Bette is also just a lovely personality. I love reading and writing and agree with your approach to buying books. Thanks for supporting the indie community. I’m glad to, Brad. So many Indie gems pass unnoticed. And though my own books have done fairly well, I know that many others, equally deserving, don’t get the support they need. Agreed Cynthia. I see you and many other bloggers reviewing, promoting, and supporting indie books. That’s nice of you, and very true.the best sellers out there can most times be found in libraries. Yes indeed, Jina. It’s also a way of making sure that we support those authors and small publishers who need it, while also supporting the big-time authors and publishers. I’ve never read so many indie books since I started blogging and it’s been lovely to discover some of those authors. I think this is a good way of reading both while supporting those indie authors. Thanks, Andrea. I’d be lost without my local public library, and I sometimes ask them to bring in Indie-published books too. Excellent reply, Ron and congrats to you and Viviana on the Spanish edition, and on your return visit! It’s so good to get this update from you, and I am most thankful. Thanks so very, very much! May I repost this on my blog? Thank you very much. 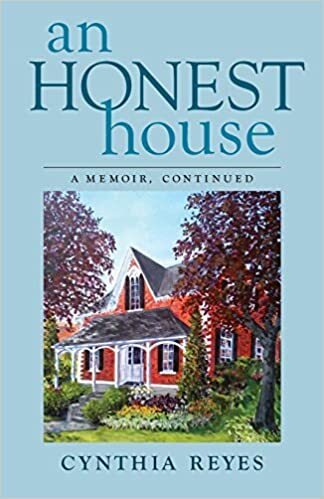 The longest chapter in An Honest House was about the librarians who took care of my book needs and me during my terrible years. I love them. We soldier on, my friend. I have a pile to read myself! Thanks for your kind response. You are so right Cynthia and how good you are to buy these books. I recently brought one from a local lady who put in a huge amount of research into a biography. Mostly though for my own reading i use the library, though i love buying books as gifts, so would love to read more of your reviews. Glad to hear you bought a copy of the local lady’s book. I bet she really appreciates the support! I appreciate every single purchase of one of my books. In fact, I am even taken by surprise. Perhaps we all think we are imposters! Thanks for the suggestions! A book and wine – my kind of gift! 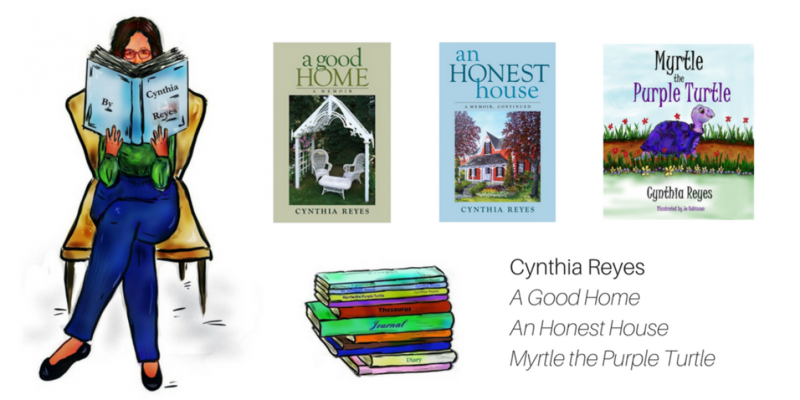 Cynthia, thank you for supporting Indie authors and for including my short story collection, What We Hold in Our Hands. I’m delighted that my book recently received an Honourable Mention in The Bermuda Literary Awards. I was born in Bermuda, grew up there, and lead an annual writers’ retreat on the island. This year will be the tenth anniversary of the retreat (April 7 – 14, 2019). I’m grateful for the chance to reconnect with my island home each spring and to share the beauty and culture of my homeland with Canadian and US writers. Welcome, Kim and thank you for replying and telling us a wee bit about yourself. Our blogging community is kind and interested in others. Can you please tell us about your retreat? Thanks, Cynthia. During the retreat we get together to write and share our writing during four morning workshops, and spend the rest of the week exploring the island. The group is small, no more than a dozen people. We stay in homey guest houses on Hamilton Harbour and take the ferry into town. One evening, we meet with local writers for an informal reading. It’s a lovely, fun week. I will have to do a post about your retreats. It sounds like a brilliant experience. Thank you Michel. I hope your part of France has escaped the brutal cold that we in the North are experiencing. Glad to hear from you, Eliza! I love my Indie friends! I really enjoyed Dog Bone Soup…thanks for the reminder to get up my review. Oh, I am sure Bette will appreciate that. As an Indie Author, I really appreciate this idea! Thanks! You are very welcome. Happy writing and may your books be well read and loved. Indeed! amazing what cream is out there in books. This is a great way to get all your books in, Cynthia. And the library is so nice because you don’t have to budget. I think I will look at this in the future to guide my reading/spending patterns. Thank you, Lisa! Are you accusing me of having some common sense? Tee hee. Thanks for the list and I do appreciate the Indie authors as well. Even have a few signed copies. I like Indie bookstores as well but they are dying out here. Makes me sad. I’ll go to anyone that I find and buy whenever possible. We need to keep them in business. A friend of mine has bought a bookstore in a small town and we are all cheering her. We are wishing her success even though it will be challenging. There is a tiny book and gift store in Buenavista del Norte (the village in Tenerife, the Canary Islands, Spain that inspired Fortunate Isle) that sells books by local and regional authors https://libreria-jugueteria-koraki.negocio.site/ I am honoured to be regarded as a ‘local author’ and an honorary member of the village having lived here for a year when I was 18. Such small bookstores need all the help that they can get. Your blog really strikes a chord, Cynthia! I hope your friend has a wonderful time with her bookstore. Book lovers, meaning everyone involved with books from seller to writer et al, are a wonderful and diverse bunch. You’re doing your part to support and encourage, and to give us ideas about ways we can do the same! I’m glad to shine a light on them, Liz. They are fighting an uphill battle and need all our help. I’ll check out the two presses you mention here. And yes, we are lucky to have great public library systems. Every so often, I have to pinch myself at the great privilege of having one nearby. p.s. I was once number 1341 on the waiting list for Death Comes to Pemberley. This hilarious misfortune led me to bond with my local librarians even more, and ended up being featured in my book An Honest House. That library story is priceless! I, too, believe in borrowing the big-name authors from the library. If I want to have it for my own, I try to find it at the county library’s huge annual book sale for $1 or $2. What I buy for me – whether children’s or adult books – are stories I know I will want to read again. (I do have a lot of children’s books!) And yes, they all must be well-written (and illustrated.) So many books … so little time! in addition at my precious comment, I read at this moment book of a famous French writer from before the war two: Georges Bernanos but i am a bit deceived because the style is on a slow mode and I thought it was more active . This confirms every time has its style like in architecture, music or painting . This is fantastic! I wish more people gave serious indies and small presses a chance. I may need to start doing the same. I never know what to tell people I want when they ask for gift ideas.